We have information you must know before you buy the Cayenne. The first Porsche Cayenne ruffled a lot of feathers when it appeared in 2002. It seemed to indicate a loss of direction, a straying from the holy sports-car path upon which Porsche had reverentially followed. But the first sport utility by Porsche wasn't an apocalypse or Armageddon – it instead managed to put the "sport" in sport utility while also filling the coffers of the niche company, which allowed it to remain independent until the Volkswagen Group took control in 2012. 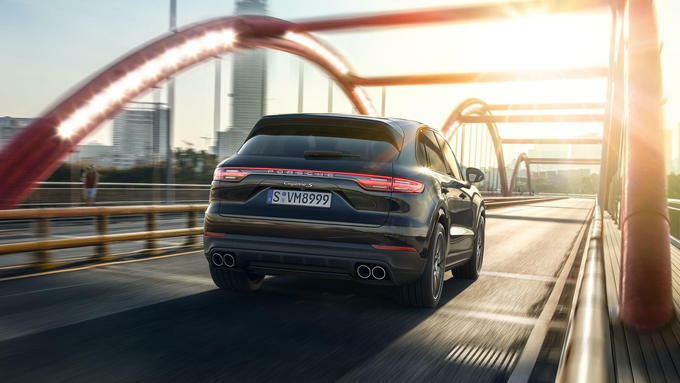 For 2019, Porsche has introduced an all-new Cayenne, which promises to again push the limits of how much sport can be injected into a sport utility vehicle. The Porsche Cayenne is completely redesigned for 2019. Performance is the critical factor when choosing what Cayenne to buy, as the three available trims differ in their powertrains but offer mostly the same standard comfort and convenience features. Base models have a turbocharged 3.0-liter V6, which puts out 340 horsepower and 332 lb-ft of torque. This lets the Cayenne reach a 152-mph top speed and do zero to 60 mph in 6.2 seconds. 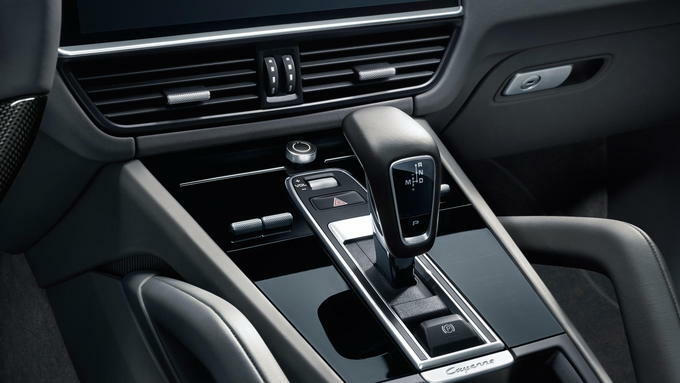 The eight-speed automatic transmission handles gear shifts, and in fact backs every engine available for the Cayenne. Next up is the S, which ups the performance ante with a 2.9-liter twin-turbo V6. This engine's 440 hp and 405 lb-ft of torque pack enough of a punch to let the Cayenne hit a top speed of 164 mph and hit 60 in just 5.2 seconds. The best performance, however, comes from the 550-hp and 567-lb-ft Turbo model. The 4.0-liter, twin-turbo V8 allows the SUV rocket up to 177 mph, and the 3.9-second 0-60 blast staggers the mind once you consider the sheer physics of that feat. This is, after all, a 4,800-pound SUV that's 194 inches long, manages to have 26.3 cubic feet of cargo space with the rear seats upright, and can tow 7,700 pounds. Another round of hefeweizen, bartender! The performance is eye-watering, but the options list is even more so. From standalone features to option packages to lifestyle accessories, one can easily spend the American median annual income on add-ons and still not come close to a fully loaded Cayenne. That said, let's dive right into it: Begin by choosing one of 11 wheel options, 10 interior hues, and three trim materials, and don't forget to make a selection from the wide exterior color palette. Even choose the color of the seat belts and brake calipers, if you're the type who likes to match their belt and shoes with every outfit. Some notable comfort and convenience options include 14-way and 18-way memory power seats ($1,900 and $2,3320, respectively), keyless entry ($890), ventilated seats front and rear ($1,700), massaging seats front and rear ($2,850), and four-zone climate control ($990). A 21-speaker Burmester sound system pumps out over 1,400 watts and costs $5,810, and a rear-seat entertainment system runs for $1,920. The $3,690 Premium Plus Package bundles many of these features, including the front ventilated seats, four-zone climate control, and keyless entry. It also comes with lane-change assist and ambient lighting. If safety is a concern - and with all this horsepower on tap, it probably should be - Porsche has a few accident-mitigating features on the menu. These include a $1,720 head-up display, $2,000 adaptive cruise control, $950 lane-change assist, and a $2,420 night vision assist. For those looking to wring out every iota of the Cayenne's inherent sportiness, be sure to consider the rear-axle steering ($1,620), ceramic composite brakes ($5,580), and torque vectoring ($1,500). Complement these gee-whiz technologies with the $1,130 Sport Chrono Package, which adds four driving modes, launch control, a Sport Response button (which when pressed calibrates the powertrain for full performance), and both an analog and digital stopwatch. For the Base and S models, this package drops 0-60 times by .3 seconds. If taking the Cayenne beyond where the asphalt ends, the $2,000 Off-Road Package brings skid plates, a compass, and digital readout displays of tilt, gradient, and steering angles. In the typical Porsche fashion, all options are available across all Cayenne sub-models; nothing is trim-level specific. The entry-level 340-horsepower Cayenne starts at $66,750 (including destination charge). It includes eight-way power seats, paddle shifters, dual-zone climate control, LED lighting, four USB ports, Bluetooth, navigation, and parking assist. There is also Apple CarPlay and Android Auto, power heated mirrors, a ten-speaker sound system, and a power hatch. 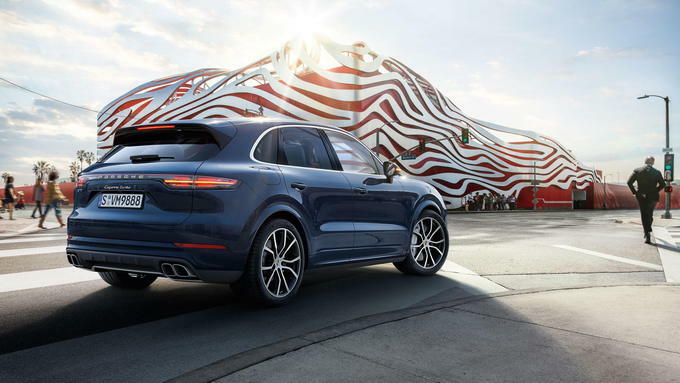 The $83,950 S is the middle child in the Cayenne family. This price bump is almost completely attributable to the 2.9-liter twin-turbo V6 that makes 440 horsepower. In fact, there's only one other additional standard feature over the base model: a panoramic roof. The be-all and end-all of Cayennes is the Turbo, which costs a cool $125,650. Like the S, its calling card is what's found under the hood, in this case a twin-turbo 4.0-liter V8. Porsche was apparently feeling a bit generous with the Turbo, as the healthy price bump over the S does in fact include a few other additional standard features not found on the lower-tier models.These include the four-corner adaptive air suspension, Porsche's new Surface Coated Brakes (which cover the brake rotors in a tungsten-carbide material that supposedly reduces brake dust significantly), a 14-speaker Bose sound system, electronically tilt-and-telescope adjustable steering wheel, auto-dimming mirrors, 18-way power heated seats with memory function, and heated rear seats. All these additional options are available on both the Base and S.
If money is no object, get the Turbo, if only to revel in hammering the throttle and being immediately thrust back into the seat by the twin-turbo V8's black magic. For the rest of us, it comes down to one question: speed or luxury? For the former, go with the S, add the Sport Chrono Package and maybe the torque vectoring or rear steering, and be done. For the latter, get the base model and add all the luxury options you deem worthwhile. Either way, expect to shell out $80,000-$90,000 to have the Cayenne optioned out as it should be. 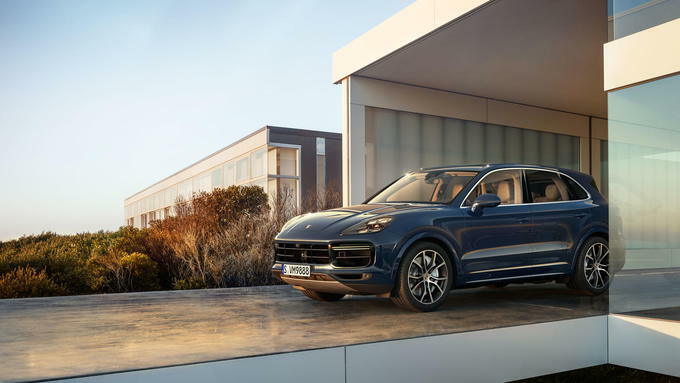 If you're looking for a luxurious and sporty SUV, the 2019 Porsche Cayenne is likely your best bet. While it is no 911 or Boxster, the Cayenne is still retains the driving dynamics that Porsche is known for while blended with the convenience and ride height of an SUV, sacrificing little in the pursuit. That performance is backed up with as much luxury as you're willing to pay for and legendary Porsche build quality that manages to make all other cars somehow feel lacking. Cayenne trims are only there to give you a choice of how fast you want to go. As much as we'd love to have the insane 550-horsepower twin-turbocharged 4.0-liter V8 that comes in the Cayenne Turbo, most customers will be very well served with the mid-grade Cayenne S and its 440-hp twin-turbocharged 2.9-liter V6. The Cayenne S also offers a standard panoramic sunroof, which adds some nice natural light to the cabin. Like most Porsches, the Cayenne can be configured in an almost infinite number of permutations, and if Porsche could make having a driver's seat an option, they probably would. You can nearly double the price of the vehicle if you aren't careful. Keeping that in mind, we'd spring for the Premium Plus Package which is pricey, but adds a bunch of very desirable extras like 14-way power ventilated front seats, heaters for the front and rear seats, four-zone automatic climate control, a Bose sound system, adaptive LED headlights, and lane change assist. The premium interiors look very nice, but we'd save some coin by going with the standard interior in Black/Mojave Beige. The Cayenne's performance packages and options are all very tempting, but they're also very expensive. We'd stick with just the adaptive air suspension and the Sport Chrono Package, which make the SUV even faster while giving you additional driving modes to suit your moods. For individual options, we're tempted by the soft-close doors, which add an element of luxury you never knew you needed. In the same vein, the thermally and noise insulated glass goes a long way in making you feel coddled. There's so much else we'd love to add to our hypothetical Cayenne, but this is the "Best Value" section after all, and we're trying to keep it somewhat reasonable. Options: Premium Plus Package ($7,330, 14-way Power Seat with Memory Package, heated front and rear seats, ventilated front seats, four-Zone automatic climate control, LED adaptive headlights, auto-dimming mirrors, Bose audio system, lane change assist, keyless entry, ambient lighting), Standard Interior in Black/Mojave Beige ($390), Soft Close Doors ($780), Adaptive Air Suspension incl. Porsche Active Suspension Management ($2,170), Sport Chrono Package ($1,130, stopwatch, additional driving modes, launch control, expansion of Porsche Stability Management), Thermally & Noise Insulated Glass ($1,130). The Cayenne is a force to be reckoned with in all guises. Even the base trim, which is equipped with a 3.0-liter V6 with a single turbocharger puts out 340 hp and 332 pound-feet of torque that allows the SUV to accelerate as fast as most hot hatches. Step up to the Cayenne S and it gets truly fast with 440 hp and 406 lb-ft of torque due to an additional turbocharger, giving it a zero-to-60 time of less than five seconds. The Cayenne Turbo's twin-turbo V8 gets that time down below four seconds, making it one of the fastest SUVs currently available. Heck, it's even faster than a Corvette sports car. Beyond being fast in a straight line, the Cayenne is surprisingly agile. The SUV handles excellently and rides very smoothly, with very little body lean in the corners. The Cayenne's abilities can expand even further provided you spend the money on the appropriate options, like torque vectoring, rear wheel steering, and the off-road package. 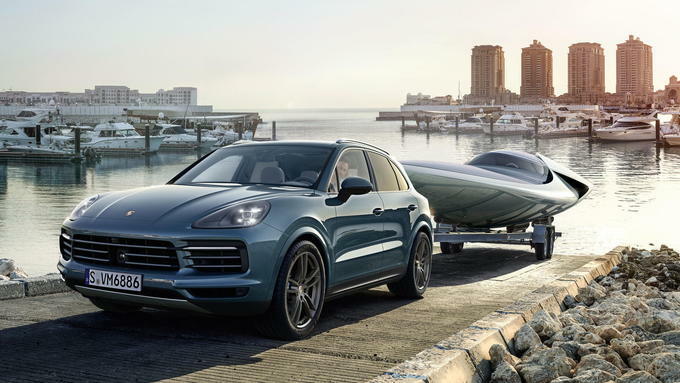 There's even a towing package that allows the Cayenne to tow up to 7,700 pounds, which is plenty to haul your 911 to the track for your local Porsche Club of America track day. The Cayenne is all new for 2019, but if you hadn't been paying attention you may not have noticed. In typical Porsche fashion, the new Cayenne is very similar looking to the old one, with a few flourishes to keep it looking modern. Inside, the Cayenne is completely revamped, with less bulky switch gear and blank switches, and a simpler but great looking dashboard arrangement. The build quality of the Cayenne is top notch, and everything is very well thought out. 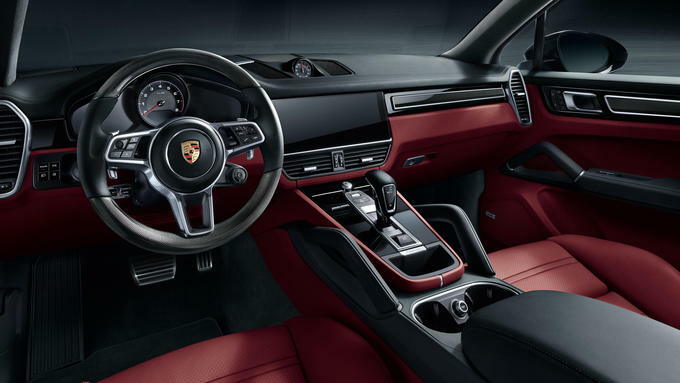 Everything inside is very nicely refined straight from the factory, although Porsche gives you approximately a billion options to configure it the way you want. Interiors can be clad in leather, Alcantara, aluminum, or wood, painted to match the color of your exterior or painted to not match the color of your exterior. All of the standard luxury accoutrements you can find in any other vehicle are available, but you'll have to pay for the privilege for most of them. You can end up spending almost $60,000 in options if you go wild, which is enough to buy a matching Porsche Cayman sports car. 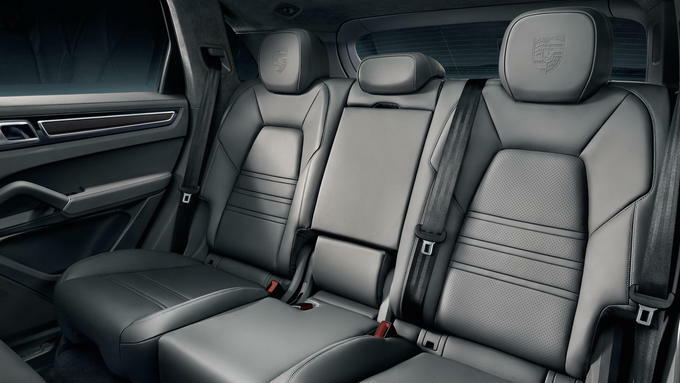 Even without the options, the Cayenne is very comfortable and spacious. The Cayenne's biggest strength is the vehicle's performance capabilities. This is an SUV that can be as fast as most sports cars out there, but it still offers the size and practicality many people today want. When properly equipped, the Cayenne can take corners in a way that seems to defy physics, and the engines available are all sweet revving and full of power. The Cayenne also suffers from the same issues that plague all Porsches: almost everything is a standalone option. This can add up quickly if you aren't that good at math, to the point of doubling the price of the base model. The Cayenne is an absolutely perfect companion to a 911, Boxster, or Cayman for the essential two-Porsche garage. It'll allow for an appropriate amount of practicality without sacrificing too much of that Porsche essence found in the sports car that sleeps next to it. That was really the point of the Cayenne in the first place; it's a Porsche for people who need more than what their 911 can offer. Despite how good the Cayenne is at almost everything it does, it can be much pricier than the standard luxury SUV. Those not as interested in driving who still want to be coddled in luxury will probably be wasting money on the Cayenne's sporting chops. Instead, these people may be better off with the Range Rover Velar or Volvo XC90. The 2019 Porsche Cayenne may be all new, but it's still one of the best – if not the best – luxury SUV you can buy. 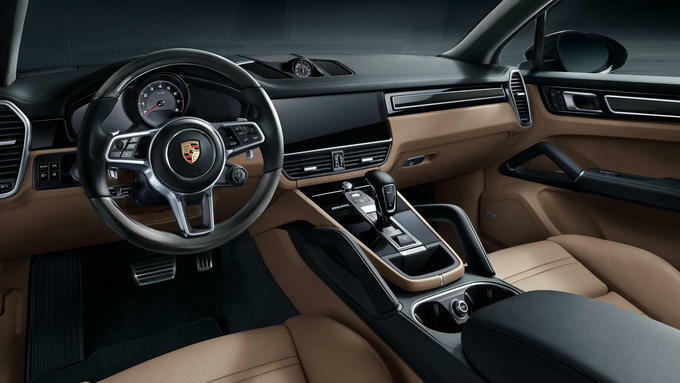 The performance credentials of the Cayenne outclasses nearly every other SUV in the world, and the interior is absolutely luxurious. While it may be able to get expensive very quickly, it's still the absolute best choice if you need a vehicle that's more practical than your 911. We have partnered with trusted dealers in your area to give you a great price on the new Porsche Cayenne.